The energy infrastructure of the world today still relies heavily on fossil fuels, particularly crude oil. Anyone dependent on driving a car or taking the bus to work is already all too aware of this fact. The Organization of Petroleum Exporting Countries, also known as OPEC, is a key international body whose members are nation-states, and are the top producers of oil within the world. OPEC is responsible for regulating the production, price, and sale of oil across its member countries. By the end of this article, you should have a solid understanding of the nature and purpose of OPEC in the world today, even if you have never heard of OPEC previously. The main point that will emerge is that over the course of history, OPEC has significantly enhanced the economic and political power of the Middle East. OPEC helped shape the events of world history since the inception of the organization. Is has done so, despite member countries being located in a region where, at least to Americans, seems like an area consumed with never-ending religious extremism, and war. It will also be suggested, that recent developments in the United States are threatening to make OPEC far less powerful than it has been in the past. The September 1960 photograph below captures the meeting in Baghdad that led to the formation of OPEC by its five founding countries (Saudi Arabia, Venezuela, Iraq, Iran, and Kuwait). Nearly 60 years later, the organization is a key economic and political influencer on the world stage. "OPEC's formation by five oil-producing developing countries in Baghdad in September 1960 occurred at a time of transition in the international economic and political landscape, with extensive decolonization and the birth of many new independent states in the developing world." The founding of OPEC was a way for the nations of the Middle East in particular to develop a level of autonomy on the international scene that they had yet to experience within the context of the modern era. When OPEC emerged as the global leader in oil production, the Seven Sisters - the seven most powerful American and European oil producers - lost the ability to price oil. The table below lists the former and current names of each of the Seven Sisters. As this chart clearly demonstrates, prior to OPEC, oil production in the world was dominated by American and European companies. With the introduction of OPEC into the game, this global dynamic dramatically changed. The members of OPEC tended to have their own nationalized oil companies; and under OPEC, these companies would take charge of oil production within their nations and coordinate with each other in order to control the entire global market for oil. "It was not until the 1970s that the oil pricing system witnessed a major transformation which saw the price setting power shift from the multinational oil companies to OPEC. This transformation was driven by an array of factors, the most important of which is the tight supply-demand conditions that emerged in the early 1970s." The major multinational oil companies purchase oil from the producer companies within the OPEC nations. Then, they convert that raw crude material into the oil products, such as gasoline, that are used by people all over the world. With demand for oil going up and OPEC consolidating itself into a political and economic entity, the organization became able to exert dramatic influence on the price for which oil will be sold to the multinational companies. The primary role of OPEC is to control the global oil market. This is done by controlling the production, price, and sale of oil. The reason OPEC is able to do this because the vast majority of oil in the world is located within the OPEC nations. According to OPEC's Annual Statistical Bulletin for the year 2016, the member nations of the organization together possess over 80 percent of all of the crude oil reserves currently known on the planet. By owning over 80% the planet's crude oil reserves, OPEC is uniquely positioned to control the production, price, and sale of oil. Clearly, with this kind of market share, the OPEC nations could exert a huge influence on the global oil market as a whole, if they are able to cooperate with each other in an effective way. And that is exactly why OPEC exists: to encourage and facilitate such cooperation. In a word, OPEC is a cartel. This is not meant as a slur or an insult; rather, it is simply the technical economic term for the kind of arrangement that is created by OPEC. Important definition—cartel: a group of producers within an industry who cooperate with each other for mutual economic benefit, with the purpose of increasing profits and locking out competition. OPEC exists in order to consolidate the market shares in oil of its various member nations. It’s able to do this by instead of competing against each other, all the member nations can cooperatively make use of their shared huge market share for the sake of their mutual benefit. What is the legality of cartels like OPEC? Within the United States, cartels, like monopolies, are technically illegal: businesses within a given industry are not allowed to cooperate with each other in order to achieve mutually beneficial outcomes. The rationale behind this legal policy is that competition is essential for the health of the capitalist American economy. Cooperation between rivals inhibits competition, either directly through the collusion itself or indirectly by locking potential new rivals out of the industry. Laws to this effect within the United States are known as antitrust laws. When members of a cartel collude, competition in a free market is inhibited. The following antitrust laws fight cartels to protect market competition in the United States. The federal government of the United States plays a strong role in preventing the emergence of cartels, and ensuring that markets within the nation remain competitive, fair, and open. OPEC, as an international organization, is not subject to the domestic laws of the United States, and the organization can therefore not be called illegal. Because it is ran by multiple states outside of America, it doesn’t matter if it violates several key principles of American law. If it was within the Unites States, it would in fact be shut down, and restructured to suit American laws regarding oil. As it stands, the United States has to choose between either putting up with OPEC's business practices, or possibly provoking the organization's anger, along with the economic repercussions that would entail. OPEC is currently made up of 13 member countries. Below is a list of them, along with information on when they joined the organization. The 13 countries below enjoyed OPEC membership in December 2016. OPEC had five founding members, four of whom were in the Middle East. There are now currently 13 member countries. These countries are located in the Middle East, Africa, and South America. Indonesia, Gabon, and Ecuador have all joined, left, and rejoined OPEC at some point. Indonesia left OPEC a second time in 2016, after rejoining earlier in the same year. Though four of OPEC's five founding countries were in the Middle East, current OPEC members hail from the Middle East, South America, and Africa. Although OPEC has expanded its membership over time since its inception in the year 1960, the organization is still very much dominated by its five founding members. According to the data provided by OPEC in its Annual Statistical Bulletin, a full 80 percent of the oil produced by OPEC is produced within its initial five founding countries. Likewise, the bottom five producers within OPEC collective produce only 3 percent of the oil of OPEC; and the Middle Eastern countries (which excludes the founding country Venezuela) produce 65 percent. OPEC's five founding members produce the majority of the organization's oil. With the exception of Venezuela, the core of OPEC's oil production takes place in the Middle East. These charts show two important things. The second is that all of these core countries, with the singular exception of Venezuela, are to be found in the Middle East. If you add up the Middle Eastern percentage of OPEC oil production with the Venezuelan percentage, that would amount to almost 92 percent of OPEC's total oil production. Much of Venezuela's present economic hardship is attributed to former Venezuelan president Hugo Chavez. President Chavez is photographed below in this April 2010 image. One may be surprised to find that Venezuela—a country outside of the Middle East has such a dominant position within OPEC. The fact of the matter is that this country has been very rich in oil for a very long time. Oil production in Venezuela especially picked up during World War I; and from that point onward, the country has been a major supplier of oil the world. At the time of this writing (2016), Venezuela is in the middle of a catastrophic economic recession. According to the CIA's World Factbook, Venezuela's troubles began in 1999 when Hugo Chavez was elected president and ruled the nation in an increasingly authoritarian way over the course of his 14 years as President. The economic problems and recession that began under Chavez continued under his successor. There is also the fact that the United States had a negative view of Chavez, which led to considerable international tension with Venezuela. This recession has significantly affected Venezuela's oil exports in a negative way. For example, this graphic provided by Trading Economics shows that the country's production of oil has been consistently dropping over the course of the past two years. The recent economic recession had a negative impact on Venezuela's oil exports. The line graph below depicts the steady decline in Venezuela's crude oil production over the last two years. About two-thirds of the oil produced by OPEC members, and about 53 percent of all the oil produced in the world, comes from the Middle East. A U.S. soldier guards an oil well set on fire by Iraqi forces during the 2003 Iraq war. It’s certainly not any secret that the conflicts of the United States within certain regions of the Middle East have been complicated, to say the least. Especially due to the fact that the United States has before stood in need of Middle Eastern oil. One example is the case of the Iraq War. Launched in the aftermath of the 9/11 terrorist attacks, it has been criticized by many opponents of the war as a more or less straightforward grab for Iraq's oil. There is also the example of America's strange foreign policy regarding Saudi Arabia: America is inexplicably friendly with Saudi Arabia. Especially considering that the country is a hotbed for Islamic radicalism and does not share America's basic values. Saudi control of oil is likely a strong motivating factor within this international relationship. The United States is on poor terms with three of the four of the Middle Eastern founders of OPEC. Iraq is in a state of civil war, with substantial parts of the country having been taken over by the Islamic terrorist organization ISIS. Iran is a theocratic society and potentially an emerging nuclear threat. Saudi Arabia cultivates radical Islamic ideology and has a demonstrable disdain for human rights, and a deplorable track record of human rights violations. That only leaves the tiny nation of Kuwait as a real friend of the United States. The situation in the Middle East is thus volatile, and American dependence on Middle Eastern oil is probably unhealthy from a policy perspective. Some readers may not fully understand the economics of what OPEC actually does, and the effect that the organization has on the global oil market. Acting as a cartel, OPEC is able fix prices for oil on the market, as opposed to letting free capitalist competition produce an economic equilibrium. OPEC's capacity to fix oil prices can be explained through the basic economic laws of supply and demand. These laws were explained by Adam Smith in his famous work Wealth of Nations, first published in 1776, and they have been endlessly explicated since. The main idea is that the capitalist system works in such a way that the price for a given good emerges as a result of the dynamic equilibrium between the supply of the good and the demand for the good. The basic principle is that when supply is high, the price lowers. When supply is low, the price rises. The graph below illustrates how the price of a good is determined by its demand and availability in the market. Since the demand for oil is fairly constant, OPEC is able to set the price of oil by controlling the oil supply. Supply and demand are always relative to each other. There is no "absolute" high or low demand: whether demand is high or low must be assessed relative to the level of supply. Conversely, whether supply is high or low must be assessed relative to the level of demand. Demand for oil in the modern world so high that the need for oil is more or less constant in the short term, and rising in the long term. Oil is completely integrated into the energy infrastructures of modern countries, where as alternate energy sources, like wind farms are not. "The modern world is addicted to energy, and the number of countries with the addiction is growing. . . . Fossil fuels account for 87 percent of global energy use." There is always an ongoing global demand for oil. Much of the supply of oil in the world is controlled by OPEC, allowing the cartel to primarily affect prices by altering the available supply of oil. If OPEC produces and sells more oil, then supply will go up, and prices will drop. If it produces and sells less oil, then supply go down, and prices will rise. This means that OPEC can fix prices at a high level by getting all member countries to produce and/or sell less oil. Since OPEC controls the supply, and demand can be taken as a constant, the cartel is essentially in charge of the price of oil. If demand is not constant, then lower supply will result in higher price, which in turn will result in lower demand, until an equilibrium is reached. Since every developed nation needs oil, OPEC can get away with raising the price and still having a demand for the product. In practice, this means that OPEC can do what it wants because the need for oil is so great, and often, nations do not have resources for energy in the absence of oil. For the analysis to hold, it is also important that there is no alternative supply of oil. For example, if OPEC decides to decrease the supply of oil and drive prices up, then the organization could potentially get undercut by a rival who decides to produce more oil and sell it at a cheaper price. This is why in order for OPEC's cartel scheme to function in an effective way, it is absolutely essential that the organization maintains a very large market share of the global supply of oil. Finally, the oil industry of a given OPEC country must be owned by the state, or at the very least somehow controlled by the state. This is because OPEC is an international agreement, and private companies would not be required to act according to the terms of the agreement. State ownership thus becomes essential for the cartel to function. The average American probably has the most direct connection with OPEC when he notices that the gasoline prices have gone up when he tries to fill up his car. More broadly, though, OPEC pricing can have significant effects on the entire American economy as a whole. One of the main effects on the international economy is that by fixing oil prices, OPEC gives America and other large nations motivation and incentive to develop their alternative energy sectors, like the above mentioned wind farms, or the growing world of biodiesel. This follows from what has been discussed above. OPEC's effectiveness as a cartel depends on demand staying constant, and no other options existing. Many large nations like the United States are seeking cheaper alternative forms of energy. 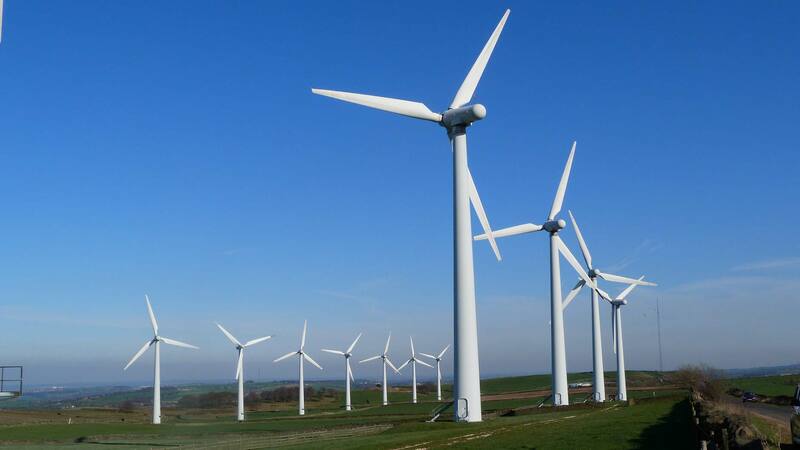 American company Amazon.com invested in wind energy by spending $375 million on this wind farm in North Carolina. Alternative energy sources can provide such options, and thereby lower the demand for oil. Some experts feel it it only a matter of time that there will be no demand for oil in large nations as renewable and sustainable alternative energy sources become more commonplace. "It is widely accepted that rising oil prices are good for the financial performance of alternative energy companies." For example, suppose that there are 100 "units" of supply of OPEC oil, at a rate of $4 dollars a unit. Without alternative energy, there would be strong demand for all those units, so the OPEC nations would make $400. But if alternative energy sources are present, then the demand will go down: people may want not all 100 units, but just 80 of those units. Then, OPEC could either make $320 dollars by selling 80 units at 4 dollars each; or, the organization could lower the price to (say) $3.50 a unit, and sell all 100 units for $350 dollars. That's how the laws of supply and demand work. The automobile industry is already adjusting to the move away from oil. Companies like Tesla, a manufacturer of electric cars has shown, electric is a competitive, and much more sustainable option. Almost every large auto manufacturer now has at least one type of electric or hybrid (combination of gas and electric) vehicle as part of its portfolio. Elon Musk displays a new model car as CEO of Tesla, a manufacturer of electric cars. Tesla reflects the automobile industry's gradual shift away from oil dependence. As a matter of fact, it would seem that the United States has taken to producing its own oil, with the numbers for the year 2016 exceeding all reported numbers for the past three decades. America experienced a sharp drop on oil prices in 2015. The following chart is based on data provided by the U.S. Energy Information Administration, which is a small branch of the federal government. The United States sought to reduce its dependency on OPEC's oil by producing its own. As a result, the levels of oil America produced in 2016 are the highest they've been in three decades. Russia is a good example of another large economy that has to deal with OPEC oil pricing. According to the International Energy Agency, as of the year 2006, Russia produced 12 percent of all the oil in the world. Likewise, according to the U.S. Energy Information Administration, as of 2016, Russia is the second largest producer of oil in the world, with Saudi Arabia being first and the United States being third. Economically speaking, Russia cannot do anything different from the United States in order to balance power with OPEC, since the laws of supply and demand are universal within the capitalist economic system. Russia may have greater political affinity with the Middle East than the United States. This could cause complications in with Russian foreign policy that go beyond the domain of the purely economic. As has been previously mentioned, 1973 marks the year when OPEC emerged as an powerful presence on the global scene. One key historical event involving OPEC consists of the oil embargo imposed by OPEC in this same year. This was a collective decision on the part of OPEC that its member countries would stop exporting oil to the United States. There were a few reasons why this happened. The 1973 oil embargo was a demonstration of OPEC's power and influence on the global scale. The table below describes the events that led OPEC to stop exporting oil to the U.S. Since 1973, OPEC has come to an awareness of its power, and utilized it to control the oil market of the world. OPEC's has grown especially powerful as the general global demand for oil has grown. A key fact is that OPEC oil embargo against the United States was only successful in the short term. This is because the embargo only included the United States, and not allied nations. (If it were to include allied nations, then who would be left to buy the oil?) This meant that the United States could still get the oil it needed, given that oil is a fungible good. Important definition—fungible: an economic term that means that a given good can be replaced by another good, or resold without suffering any loss of value. If the OPEC countries decided to sell oil to Great Britain but not to the United States, then global market conditions would simply make it beneficial for Great Britain to resell that oil to the United States, as opposed to keeping it all within the nation. This is inherent to the economic nature of oil itself. So, such an embargo can hurt in the short run, but it is not sustainable in the long run, unless implemented in a mutually destructive way. It must also be remembered that the OPEC countries do need customers for their oil. Just as the modern world needs oil, the OPEC countries also need to sell their oil: indeed, much of the wealth of these countries comes from their oil exports. For example, the relevant data indicates that until recently, 95 percent of all Venezuela's exports has consisted of oil. OPEC members such as Venezuela depend on the global market's demand for oil. The chart below illustrates Venezuela's heavy reliance on oil for export revenue. Likewise, according to Forbes magazine, the oil sector accounts for 90 percent of the export earnings in Saudi Arabia. This illustrates how supply and demand are both needed. In a symbiotic way, the OPEC countries are just as dependent on their consumers as the consumer companies are dependent on OPEC. This is the essential nature of trade. Saudi Arabia is highly dependent upon its customers' demand for oil. The chart below shows that oil is by far the country's most significant export. There have been several cases of rival nations working together under the umbrella of OPEC in order to achieve shared ends. 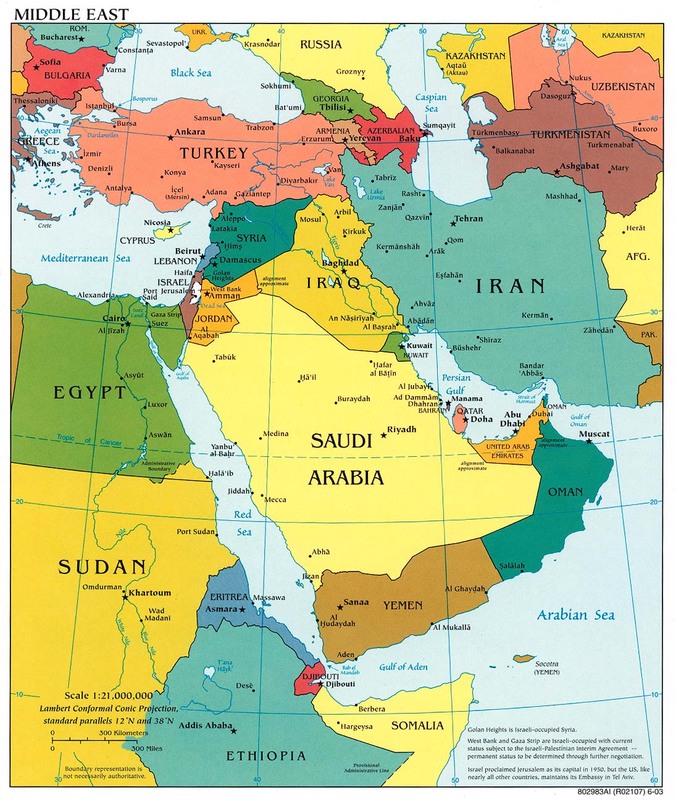 For example, Iran and Saudi Arabia are strong rivals within the region of the Middle East. More importantly, they are also both founding members of OPEC; and they cooperated on policy during the 1973 oil embargo discussed above. Indeed, for all their political and religious differences—Iran is Shi'ite Muslim, and Saudi Arabia is Sunni Muslim, and in the Middle East, religion and politics often become the same thing—they have been engaged in official economic cooperation ever since the founding of OPEC back in the year 1960. Rival nations such as Iran and Saudi Arabia - both pictured in the map below - cooperate as member nations of OPEC. "On November 30th it [Saudi Arabia] led members of the oil producers' cartel in a pledge to remove 1.2 millions barrels a day (b/d) from global oil production, if non-OPEC countries such as Russia chip in with a further 600,000 b/d. That would amount to almost 2% of global production, far more than markets expected." This deal is fully congruent with the analysis of supply and demand that was carried out earlier in this present article. The OPEC countries can raise prices on oil, as it is assumed that global demand stays constant; and they can do this because OPEC as a whole has a huge market share in the oil industry. Apparently the share is not quite big enough—which is why the cooperation of the non-OPEC member country, Russia, was needed to finalize the deal. Understandably, America's political and economic posture toward OPEC is a hostile one. OPEC, in its very structure, is antithetical to American principles of the capitalist free market. Moreover, the United States is not viewed favorably in the Middle East, having completely opposite views on economic development and democratization. This means that OPEC forces the nation to be economically dependent on its enemies (or at the very least, on skeptical international partners). Tensions between member nations of OPEC and America arise from differences in political and economic ideologies. Some of those tensions are described in the table below. OPEC is a cartel. The United States believes in the free market, and has laws that explicitly forbid cartels within the nation. America is engaged in wars in the Middle East. The United States is economically dependent on a very volatile and hostile region of the world. Middle Eastern countries lack democratic institutions. The United States has historically taken national pride in promoting liberty and democracy around the world. The table above displays the reasons why the United States has a strong incentive to not be dependent on the goods of OPEC anymore. It’s similar to being an adolescent: if you want independence from your parents, then the first thing you do is get a job, because your parents can't control the way you spend the money you make on your own. Financial dependence always gives away power. And this is why the United States is attempting, and should attempt, to break its financial dependence on OPEC. America's two main responses to the threat of OPEC have consisted of attempting to develop alternative energy sources on one hand, and increasing domestic oil production on the other, through methods like fracking. Fracking, however is a highly controversial practice, and the debate on the pros and cons of fracking is lengthy enough to warrant it’s own article. Protesters gather outside New York Governor Cuomo's office to protest fracking - a method of extracting oil - in this 2012 photograph. Despite environmental concerns, fracking has been used to produce oil in the United States in an effort to reduce dependence on OPEC. Both of these strategies are perfectly congruent with the economic laws of supply and demand. In order to break the grip of OPEC on oil pricing, it is necessary to either reduce the demand for oil, or develop alternative supplies of oil. And this is exactly what the United States is doing at the present time. OPEC produces a close to a majority, of all the oil in the world. OPEC is primarily an organization of Middle Eastern countries, though Venezuela in South America is a prominent member. OPEC fixes the price of oil in the world by controlling supply through regulations of the production and/or sale of oil among member countries, under conditions where the global demand for oil is assumed to be constant. OPEC can be combated either by developing alternative sources of energy, or by developing domestic oil production capacities within non-OPEC countries. Given the state of the world today and American foreign policy, it would be a very good idea for the United States to move toward breaking its dependence on oil produced by OPEC. These are the main points that you should keep in mind when considering the significance of OPEC for the political and economic scenes today, It’s especially important if you are looking at OPEC from an American perspective. Central Intelligence Agency. "Venezuela." World Factbook. 2016. Web. 19 Dec. 2016. The Economist. "OPEC Reaches a Deal to Cut Oil Production." Author, 3 Dec. 2016. Web. 20 Dec. 2016. Fattouh, Bassam. OPEC Pricing Power: The Need for a New Perspective. Oxford Institute for Energy Studies, 2007. Web. 18 Dec. 2016.<https://www.oxfordenergy.org/wpcms/wp-content/uploads/2010/11/WPM31-OPECPricingPowerTheNeedForANewPerspective-BassamFattouh-2007.pdf>. Federal Trade Commission. "The Antitrust Laws." Author, 2016. Web. 18 Dec. 2016. Henriques, Irene, and Perry Sadorsky. "Oil Prices and Stock Prices of Alternative Energy Companies." Energy Economics 30.3 (2008): 998-1010. Print. McNeil, David. "Noam Chomsky: Controlling the Oil." Independent. 23 Jan. 2005. Web. 19 Dec. 2016. Mellen, Andy, and Neil Hollow. No Oil in the Lamp. London: Darton, Longman and Todd Ltd., 2013. Print. Organization of Petroleum Exporting Countries. "Brief History." Author, 2016. Web. 18 Dec. 2016. Organization of Petroleum Exporting Countries. "Member Countries." Author, 2016. Web. 18 Dec. 2016. Organization of Petroleum Exporting Countries. "OPEC Share of World Crude Oil Reserves." Author, 2016. Web. 18 Dec. 2016.<http://www.opec.org/opec_web/en/data_graphs/330.htm>. Organization of Petroleum Exporting Countries. "Venezuela." Author, 2016. Web. 18 Jan. 2017. Rustow, Dankwart. A. Oil and Turmoil. New York: W. W. Norton and Company, 1983. Print. Smith, Adam. The Wealth of Nations. New York: Bantam, 2003. Print. Ultius, Inc. "How OPEC powers the economy of the Middle East." Ultius | Custom Writing and Editing Services. February 05, 2017. http://www.ultius.com/ultius-blog/entry/how-opec-powers-the-economy-of-the-middle-east.html.